Having studied under renowned coach Carlos Fassi, Hamill became a master of skating technique and artistry. Her strengths lay not in risky triple jumps but in her flowing grace and creativity. She even invented her own trademark move, the “Hamill Camel,” where she moved immediately from a camel spin into a sitting spin. Painfully shy, Dorothy Hamill tended to let her emotions show on the ice—sometimes too much. At the 1974 world championship in Munich, she took to the ice to a chorus of boos from the German crowd. 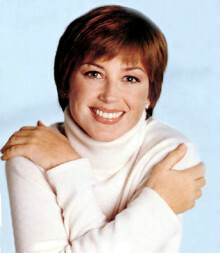 Distraught, Dorothy Hamill left the ice in tears. What she didn\’t realize was that the boos weren\’t for her but for the judges who had just given poor marks to a German skater that had just performed. When she was told what had happened, she returned to the ice to the loudest cheers of the competition and skated her way to a silver medal. Her popularity transcended sports. She became a celebrity in fashion—her short, bobbed haircut, known as a “wedge,” inspired throngs of American women to cut their hair. She even signed a contract to advertise for Clairol. After the Olympics, Dorothy Hamill went on to win the 1976 world championship, and then she turned professional. She was very active on the pro circuit, winning four consecutive professional world titles in the mid 1980s and then starring in—and eventually buying—the financially strapped Ice Capades. Do you want to hire Dorothy Hamill? Directly request a quote. In 48 hours we can send you the availability of Dorothy Hamill If you would like to book Dorothy Hamill, Entertainment Booking Agency is the right place. We will offer you the best price and contact the management or we directly contact Dorothy Hamill. For corporate appearances or speaking engagements you can contact our agents and the will help you true the process. Tags: hire Dorothy Hamill, Dorothy Hamill booking, book Dorothy Hamill, Dorothy Hamill appearances, find more information on booking Dorothy Hamill for appearances, Dorothy Hamill speaking engagements, Dorothy Hamill endorsements/spokesperson, Dorothy Hamill appearance fees, Dorothy Hamill booking agency contact info, biography of Dorothy Hamill, Contact an artist booking talent agent find a speakers bureau that can book Dorothy Hamill, speaker booking agency for Dorothy Hamill, Dorothy Hamill booking agency, Dorothy Hamill booking for corporate event. EBA is one of the biggest entertainment booking agencies in the World. We book hundreds of celebrities, artist, athletes and speakers in a year. Important to know is that we are not claiming to be the management of Dorothy Hamill. We are not the official agent for Dorothy Hamill. Companies from around the globe book these artists and speakers true our company be course we have one of the biggest networks and we always have direct contact with the artist or the management. We help you to find the right celebrities for your corporate of private events. Please contact one of our agents to get free advice and we will help to get the world-famous artist on your party.